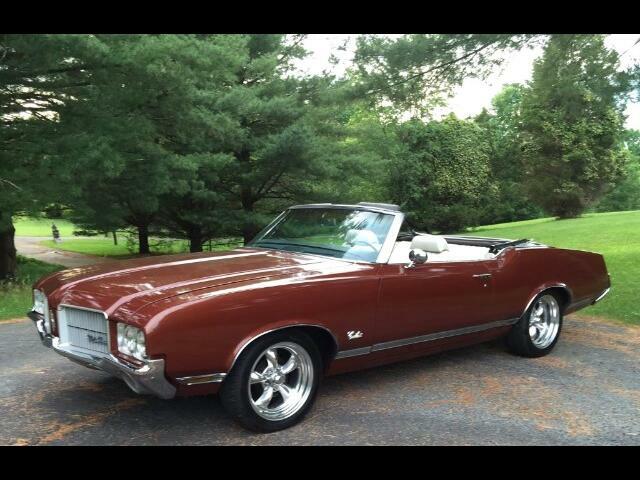 Super nice 1971 Oldsmobile Cutlass Supreme convertible with original 350 cu in V8, Automatic transmission,power steering, power brakes, air conditioning, with new compressor, bucket seats, console, torque thrust wheels, with new tires. Super good running convert, with new carpet, seat covers and more. Message: Thought you might be interested in this 1971 Oldsmobile Cutlass Supreme.